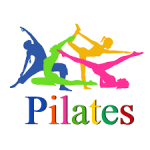 Pilates is a form of body conditioning appropriate for men and women of all ages. It’s aim is to allow you to move with control from your centre, with concentration and precision, while using proper breathing to create a natural flow from one exercise to the next. It strengthens and tones muscles, improves posture, provides flexibility and balance, unites body and mind, and creates a more streamlined shape. Lawrence is a Health & Fitness Education Endorsed Instructor. FROM 21ST NOVEMBER 2018 Every Wednesday. 9.15-10.15 am . Small Hall. FIRST CLASS FREE; £9 per class – drop in OR £40 for 5 consecutive sessions.